Recently, several managers I work with have been concerned about how “engaged” their employees are in their work. I’ve long been bothered by the concept of employee engagement. Why is it a one-way street? 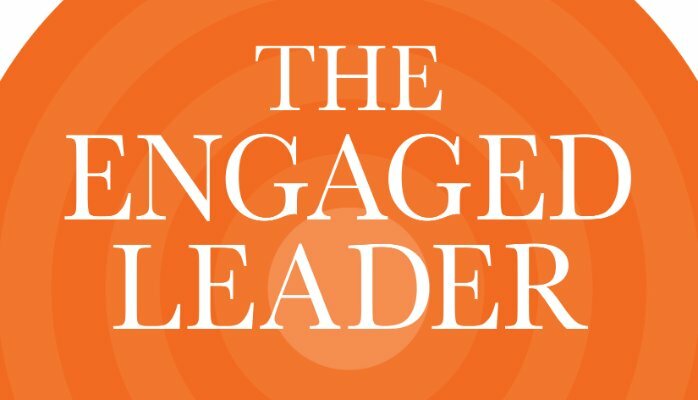 Why is it only the employee’s engagement we measure (and everybody does…Gallup, AIAA, tons of others). I take a different view, and I believe that there is a way to improve not just your employees’ engagement, but your own. Employee engagement is the extent to which employees feel passionate about their jobs, are committed to the organization, and put discretionary effort into their work. Employee engagement is not the same as employee satisfaction. Individual engagement is the extent to which individuals feel passionate about an associate, are committed to the relationship, and put discretionary effort into making it work. Individual engagement is not the same as individual satisfaction. So while a boss/direct report affiliation exists between a manager and his or her employee, the individuals (shedding their roles) could benefit by connecting at this passionate, committed level. The antithesis to this is the employee (or individual) who exhibits little or no passion or commitment and exerts minimal discretionary effort. We all know these types. Bureaucracies are frequently hangouts for these folks. It’s almost cliché. The postal employee leaving for lunch even though there’s a long line of customers or license branch personnel sending someone to the back of the line for not having a proper form. But there are other types—types that can significantly impact the throughput of a business. Or a relationship. Passion, commitment, discretionary effort. How can we create these in our direct reports (or friends, relatives, and acquaintances)? If I’m an employee, why would I want to be passionate about my work? What do I need in order to develop passion for selling you my time? I want to know how I fit in. What is my functional contribution? How can I improve how I hand off my work to the next person? And I want to see the global result of my contribution. When I know what my contribution means to the overall aspirations of my manager, then I can develop a passion for doing my job, no matter how mundane. So what does that mean for my manager? Now let me introduce the subject of manager engagement. Yup. Manager engagement. You want me, your employee, to be passionate about my contribution? Then I want you to be ready to contribute some discretionary effort as well. Too often I’ve seen managers whose workload leaves little time for them to show the “producers” on the team why their output is important. Some consider themselves or their position too important to spend energy on this kind of discretionary effort. To put it in the language I use in coaching, the less time the manager and the employee (or either individual) spend in their Knower/Judger mode, the more “engaged” they can be. All the structures except intimacy have the participant working from the K/J. I.e., we learn our rituals and are in our comfort zones when we engage in pastimes and activities. Games (people play) are entirely in the realm of K/J combat. But in the area of intimacy, all pretenses go away. Agendas evaporate. We connect and “engage” as present human beings. At the risk of sounding like I’m recommending that managers engage in intimacy with their direct reports, I am saying that connecting with them L/R to L/R, keeping them in the loop, and giving constant feedback and strokes (another transactional analysis concept) will boost any “engagement” metrics your organization uses. Give it a try!